The right packaging can help get your products noticed in an ever-growing marketplace. Whether you are just starting out or looking to extend your brand we'll help you stand out with branded and custom designed boxes, printed tape, labels and more. Our experienced staff will show you how to turn your packaging into your most powerful marketing tool. Take your branding a step further with custom-printed boxes. From one prototype to 10,000 units we can create 4-color corrugated units without costly tooling and cutting dies fees. Branded stock boxes help turn your box into a billboard. We can print your logo and message on any size corrugated box with only a one-time printing plate fee. This is ideal if you're just starting out or looking to build your brand on a budget. Printed tape is an easy, cost-effective way to get your message and your brand noticed with every box you ship. Order as little as one case at a time. Available in one or two-color printing with a one-time printing plate fee. Are bags of loose fill and rolls of bubble taking up valuable workspace? The Mini Pak'r does it all from protective packaging to void fill. 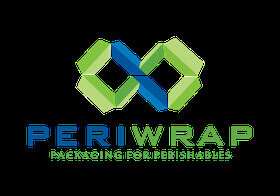 Space-saving, economical and easy to use, it creates 100% recyclable protective film when you need it. It's ideal for shipping fragile items and filling voids within your packages. Shipping prepared soups and fresh meals? Ease your carbon footprint with our bio-based line of foodservice packaging made from 100% sugarcane bagasse and biobased plastic derived from cornstarch. The line is microwavable and freezer safe - perfect for hot or cold meals on the go. Items can be custom branded. Your product label lets everyone know who you are. Choose from a variety of clear, white or foil labels in your choice of color and design. For 360-degree graphic coverage our shrink sleeve labels are the answer. Not only do they give you more space for graphics but their tamper-resistant design ensures product security.